Hello everyone! How was your week? Hope the week has been good to you. It is finally Friday…phew! I am ready to kick off my shoes, get my laptop and a bowl of Haagen Dazs Pineapple Coconut Ice Cream. Of course, I will be catching up on the episodes of ‘90210’ I have missed. For me, Fridays are always exciting and the opportunity to dress down is relaxing (my casual Fridays). I trade-in dress pants and skirts for a casual look to seal the deal. Usually, a pair of jeans is always my first pick when it comes to looking casual...preferably skinny ankle jeans. 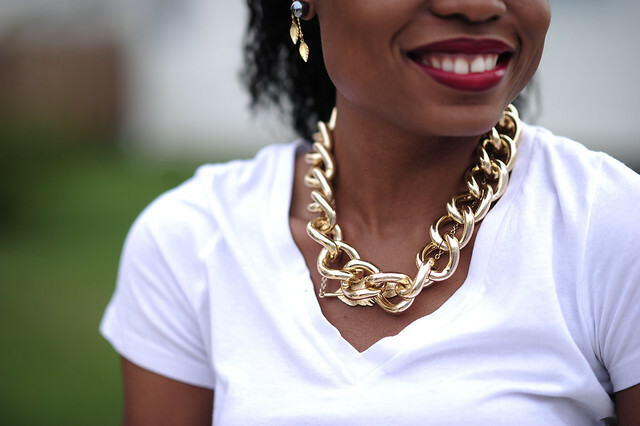 On this post, I added a v-neck tee and the neon Christian Louboutin for color. 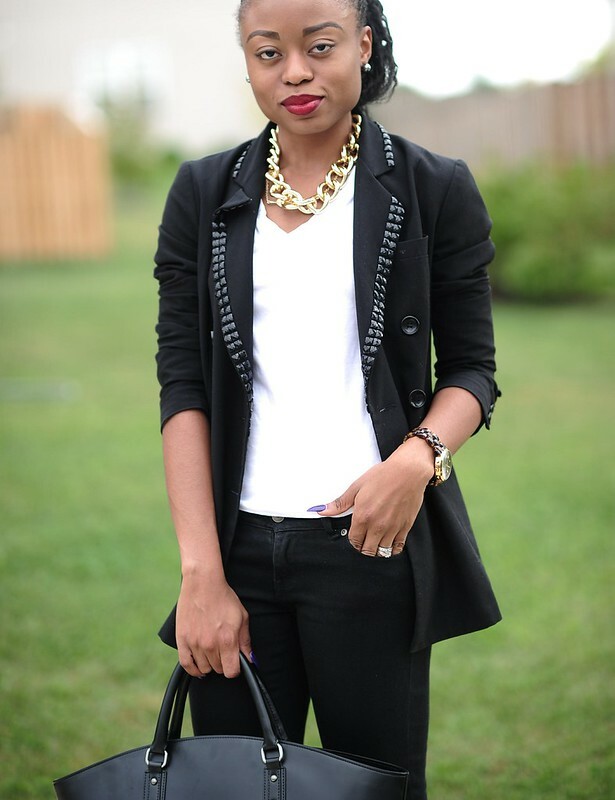 Finally, I threw on a boyfriend blazer to tie both worlds together i.e. my casual look and formal look. You look amazing. I love your pumps. I want this Louboutin! I would never buy it in this color, but on you they just look super. Love it! You have a great look! oh those are loubous?? I love them as well as I am drooling over your F21 blazer!! I love that necklace I have been looking for one like that! You look chic and stunning! Have a wonderful weekend dearie!! Very beautiful cardigan and necklace! Dying over those shoes. Such a great, clean look. Following you on GFC now! Oh, I absolutely adore those shoes! Simple yet chic. Way to go! This means that I have no choice but to be your reader and new follower! Black suits you. Love the look. Great outfit! Loving how the neon pops in this look. i promise u would see a huge improvement after 3 weeks of daily use.